Overview: The CSM class is an engaging course filled with a combination of lecture, studies, activities, and real stories. 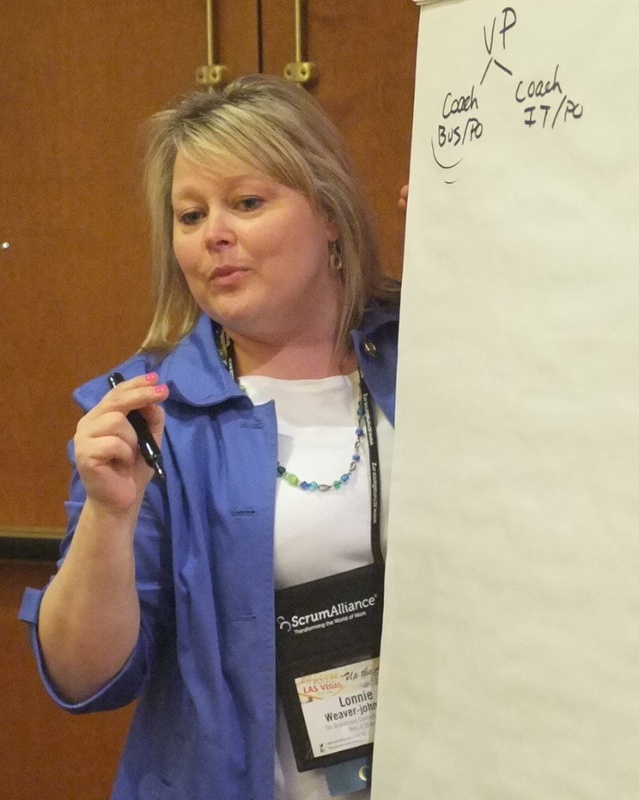 Taught by Lonnie Weaver-Johnson, Certified Scrum Trainer and seasoned coach, the course covers the topics required by the Scrum Alliance plus additional topics to really help you put what you learn into practice. This will be a complete learning experience. This class is appropriate for beginners who are just learning and for people who have been using Scrum for a while and trying to learn new ideas on how to do it better. Developers, business analysts, testers, managers, executives, project managers, and anyone seeking to understand the process and benefits of Scrum. Lonnie Weaver-Johnson delivers a dynamic course filled with practical exercises and real-world examples. Experienced Scrum practitioners will walk away with ideas for improving their Scrum practices and students brand new to Scrum will gain a solid understanding of how to get started. Similar to the CSM course, the CSPO class also goes deeper on the topics more related to the role of the Product Owner. There is more emphasis on the PO role in Scrum with topics such as using a vision statement to guide the team, creating a product roadmap, and release planning. Learn about the maintenance of the product backlog and practice writing user stories using user roles and personas. This class is appropriate for beginners who are just learning and for people who have been using Scrum for a while and trying to learn new ideas on how to do it better. Ideal learners would be business analysts, project managers, product managers, business managers, executives, and anyone seeking to understand the Product Owner Role and learning the benefits that Scrum can bring to the business. Gain a better understanding of what Agile product development is and what the benefits of Agile are. Understand your role in Agile, how setting an Agile culture is essential for success, learn the terminology and processes, and discover the most common impediments for Agile adoptions. Whether you decide to go with a full Agile transformation or try it on a few pilot projects first, this class will teach the topics you need to consider. Contact LWJ Solutions for questions or to arrange this course. Contact LWJ Solutions for questions and pricing. Just getting started with User Stories or lacking confidence with your User Stories? This class teaches the elements needed to create effective stories, how stories differ from requirements, and what the necessary elements are in order to create effective User Stories. Hands-on exercises teach you how to clearly articulate requirements through stories, understand how to break down large stories into manageable sizes, and how to write meaningful acceptance criteria. Contact LWJ Solutions for questions and pricing. In addition to what is taught in the User Story Training class, this workshop provides teams an opportunity to work with a professional coach to write their own User Stories. Participants will come away with a backlog full of stories to be used on their own project. Contact LWJ Solutions for questions and pricing. Lonnie is available for private onsite coaching. She has led organization transformations at all levels and has worked with executives, managers, and teams to get everyone on board. She has partnered with business leaders to get their buy in, she has extensive experience with offshore teams, and she can aid in the selection of ScrumMasters and Product Owners. She has experience with pilot programs, planning rollouts, and creating a team of in-house coaches when needed. Contact LWJ Solutions for questions and pricing.